Thanks to a Friend for kindly sending in the following suggestion for a good, Catholic New Year's resolution. Managing body weight and our spending/saving habits aren't the only things we should be mindful of. Sacred Heart of Jesus for the sins committed against Him. With the intention, in the heart, of making reparation to the Immaculate Heart of Mary for the sins committed against her, her name, her initiatives and images of her. A reminder that December 8 is the Feast of the Immaculate Conception of Our Lady and a day of obligation. Latin Mass times are below. "Immaculate Conception Parish will celebrate their 150th Patronal Feast on December 8, 2015with a Solemn High Latin Mass at 6:30 PM followed by procession with the Blessed Sacrament and Benediction to mark their Eucharistic Devotions. Father Bede will be the celebrant and Father Godic, pastor, will preach the sermon." Cleveland TLM Friends was asked to post the following. Fr Godic, pastor of Immaculate Conception, would like for everyone to know that they will celebrate a Low Mass at Mary's Altar for the feast of her Presentation on Saturday, November 21 at 8am. Msgr Anthony Spinosoa, rector of the Our Lady of Lebanon National Shrine, wants you all to know about their annual Assumption Pilgrimage and Traditional Latin High Mass for the Feast of the Assumption, August 15, at 10am. Music will be provided by the Schola Basilicorum and the St. Cecila Chorale (local singers). Information about the entire pilgrimage can be found here. Immaculate Conception will have a low Mass at 8am on Memorial Day. Sorry for the late notice. I hope this is received in time. Thankfully, it has been announced from the pulpit for the last few weeks. Mass at St Stephen will start early tomorrow, probably around 9am. This is due to an anticipated large gathering for the 11am Novus Ordo Mass. Please take note of the following and forward to anyone for whom it may be of benefit. The Rite Aid Cleveland Marathon is happening this coming Sunday, May 17. Part of its route will be right in the neighborhood surrounding St. Stephen's. Its expected to greatly effect the 9:30am Mass. Many thanks to a friend of the TLM for forwarding the following: A pass is available that is supposed to grant Sunday worshipers access to their place of worship. It was discovered in the Cathedral's bulletin. You should print this out; our friend says to do so at 50 - 75%, noting that any larger and it becomes blurry. Also, you may want to look over the course map and plan accordingly. Please be sure to allow plenty of extra time to arrive for Holy Mass. While the day of obligation has been transferred to Sunday, we are still encouraged to observe the traditional celebration of Ascension Thursday on May 14 at least out of piety and devotion. 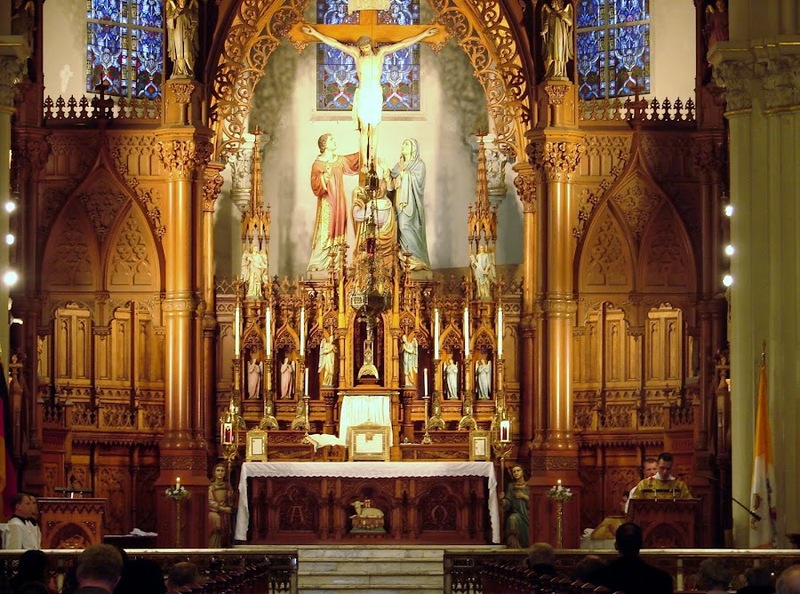 First Friday Mass…in the Extraordinary Form of the Holy Roman Rite will be on Friday, May 1st at 8 pm. 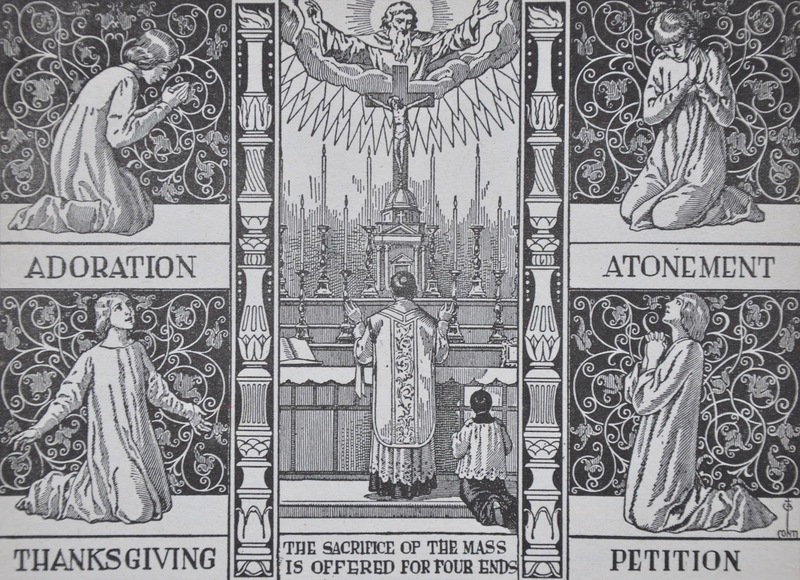 This Mass is celebrated according to the rubrics of the 1962 Roman Missal. Eucharistic Adoration, the praying of the Holy Rosary and Confessions follow the Mass. Now, even though the quote indicates a date of May 1, this is a regularly celebrated First Friday Traditional Latin Mass. Just a quick and important notice for you who plan on going to St. Stephen for Palm Sunday: The liturgy for Palm Sunday begins at 9:15am. This is to permit enough time for the blessing of palms and procession inside the church. A message from a Friend at the Our Lady of Lebanon shrine. Special news from Sacred Heart Parish. Friday, March 6th at 7:00 p.m.: We will be joined by Canon Matthew Talarico of the Institute of Christ the King Sovereign Priest, who will lead us in the Stations of the Cross and who will have an presentation on the Extraordinary Form of the Mass followed by Benediction. Come and learn more about this rich part of our Catholic heritage. Saturday, March 7th at 8:00 a.m.: Canon Talarico will offer Mass in the Extraordinary Form, we will have our regular First Saturday Devotions and then Canon will present a Spiritual Conference to the Society of the Sacred Heart. If you are not a member of the Society, you are still very welcome to come to the conference. St. Sebastian will offer High Mass at 5:15pm on Ash Wednesday. 7am Low Mass. Ashes will be distributed before mass and after mass. 6:30pm High Mass. Ashes will be distributed after the homily and after mass. The purpose of Lent is to be a season of fasting, self-denial, spiritual growth, conversion, and simplicity. 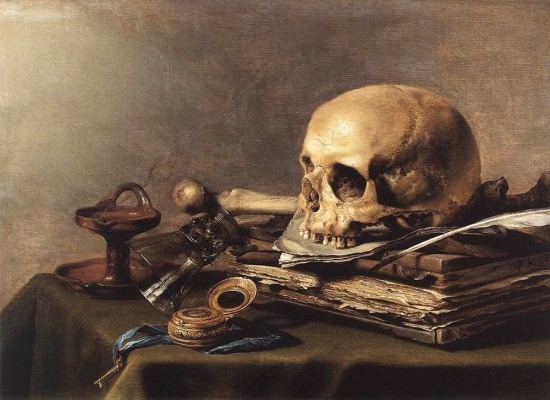 Lent, which comes from the Teutonic (Germanic) word for springtime, can be viewed as a spiritual spring cleaning: a time for taking spiritual inventory and then cleaning out those things which hinder our corporate and personal relationships with Jesus Christ and our service to him. Thus it is fitting that the season of Lent begin with a symbol of repentance: placing ashes mixed with oil on one's head or forehead. However, we must remember that our Lenten disciplines are supposed to ultimately transform our entire person: body, soul, and spirit, and help us become more like Christ. Eastern Christians call this process theosis, which St. Athanasius describes as "becoming by grace what God is by nature." In the last couple weeks, I have been asked by some friends of the TLM --and I thank you for this-- about the lack of updates being sent out. Please accept my apologies and know that it means much to me to help in any way that I can to promote the TLM. A serious medical condition in our family has not afforded me the time or inclination to maintain this blog. Hopefully, God willing, I will be able to get back to some degree of normalcy and keep this resource updated with pertinent information for all of you attached to the Traditional Roman Rite, even in the midst of our difficult situation. Humbly, I ask for your prayers for our family and also for this blog, for which so many have expressed to me their appreciation. I thank those of you who have helped with posting content and do encourage you to still send accurate information for posting. I also thank all of you who have taken the time to register for email updates. It has been very edifying for me to see the growth of the Latin Mass Faithful here in Cleveland. And not only so; but we glory also in tribulations, knowing that tribulation worketh patience; And patience trial; and trial hope; And hope confoundeth not: because the charity of God is poured forth in our hearts, by the Holy Ghost, who is given to us. Just a quick note to correct the Mass time for the feast of Epiphany at St Stephen. The correct mass time is 6:30pm, not 9:30am.